Thank you for voting. You rock. Well, there have been many ups and downs at Heather’s Homegrown since my last post… Some happy, and unfortunately, some sad. I’ll start by telling you, for the record, it’s official that I did not overserve myself my homebrewed West Coast Pale Ale as speculated in my last post. 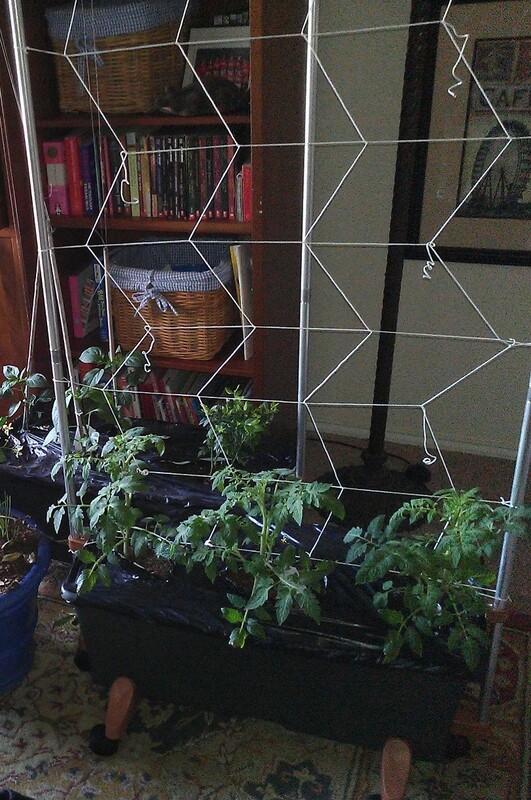 Like the second system I assembled, the netting on the third staking system didn’t install correctly either. However, in defense of my constitution — look at what I had to work with! 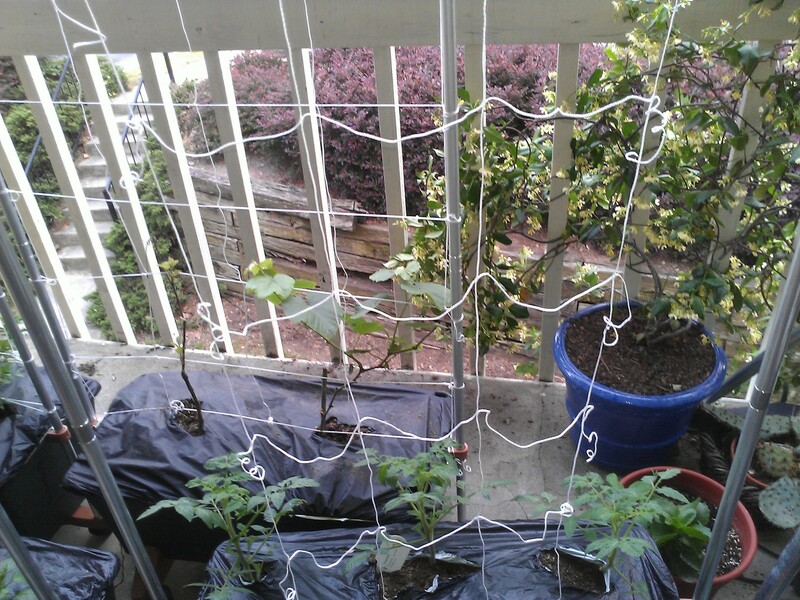 The blasted netting didn’t stretch the width of the staking system! What am I supposed to do with that!? I had no choice but to tie one side, skipping the other side, alternating all the way down in a sort of herringbone pattern with curly little Tim Burton-esque “danglies” hanging from each row. 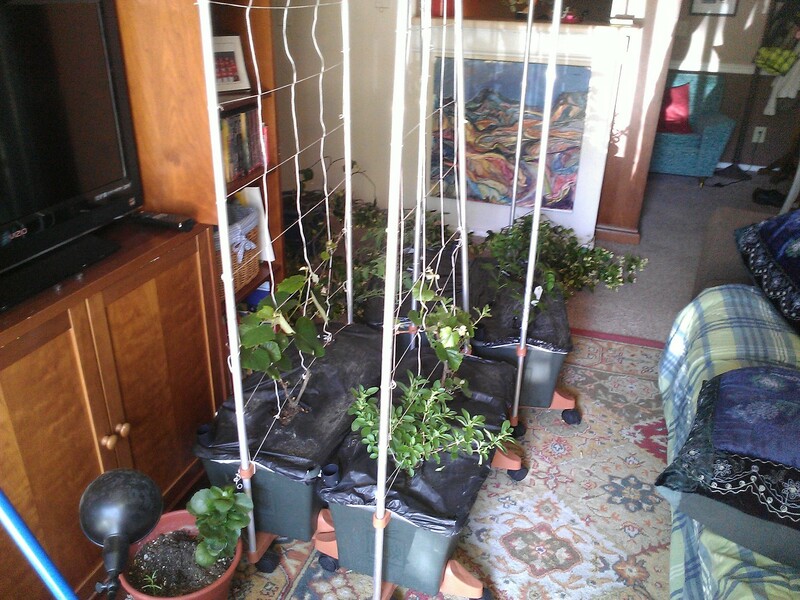 I chose to forgo the netting on the fourth and final staking system. Well, actually I think the sofa ate it, which is just as well because the netting obviously wasn’t reliable — West Coast Pale Ale or not. Instead, like a resourceful Renaissance woman, I used wooden stakes and fishin’ line. Now, you may ask, what’s that EarthBox doing inside the apartment?! Well, it all goes back to that lovely phenomenon I dub the apartment complex “facelift”. The follies du jour? Pressure washing. 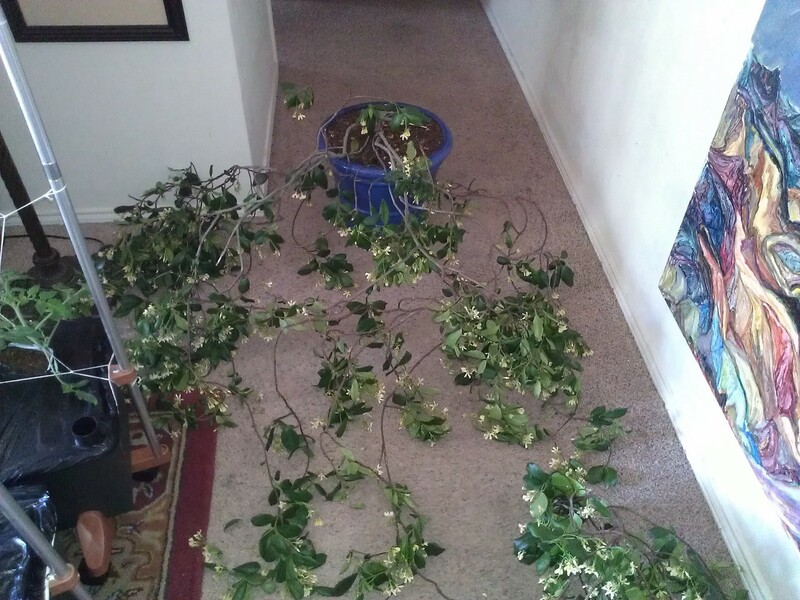 I had to drag EVERYTHING off the balcony and into my apartment, including the confederate jasmine pictured below. Talk about a major pain! 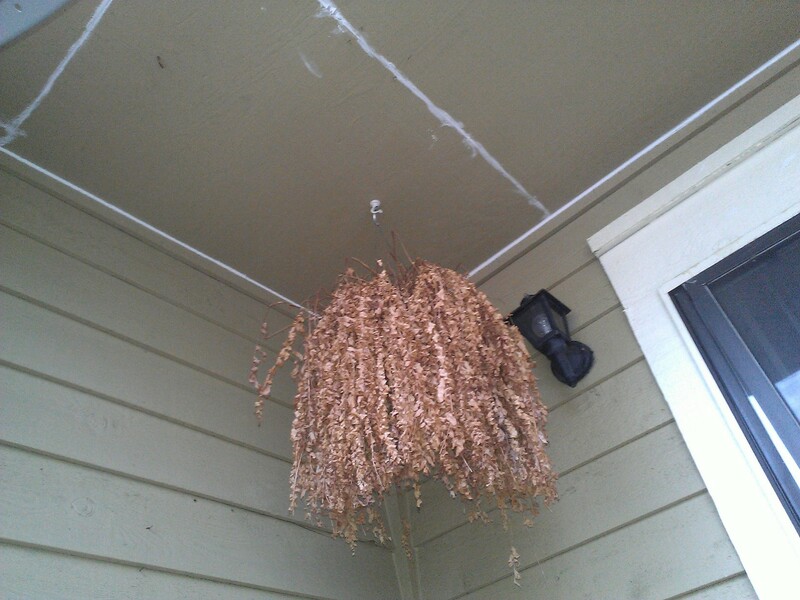 That jasmine hasn’t moved in two years other than to grow and entwine itself around the balcony railing. Even worse, the pressure washers were supposed to be here three days ago so I’ve had to drag everything on my balcony in and out of my apartment for the past three days!! 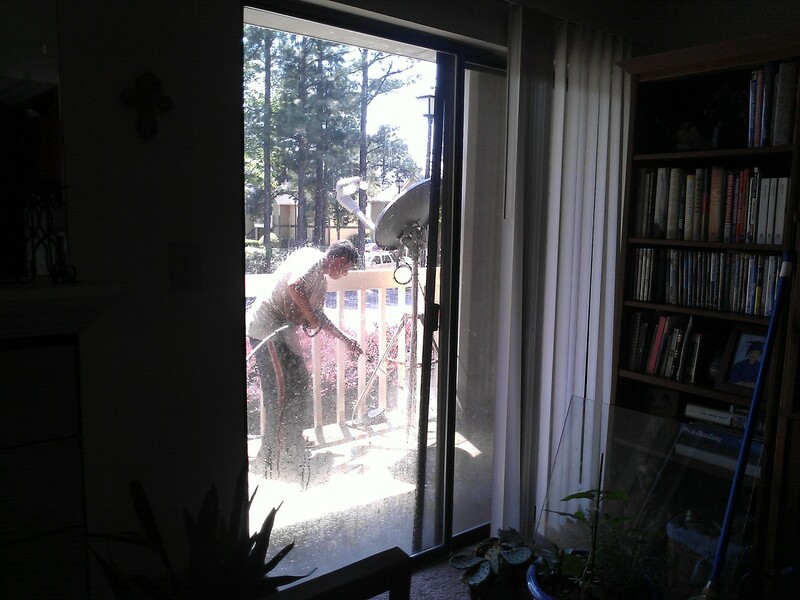 Thank goodness, I just so happened to be home on this particular day because when I saw what the pressure washer guy was doing on other folks’ balconies, I realized I would have to move Mr. and Mrs. Finch’s babies (gulp) on top of everything else. 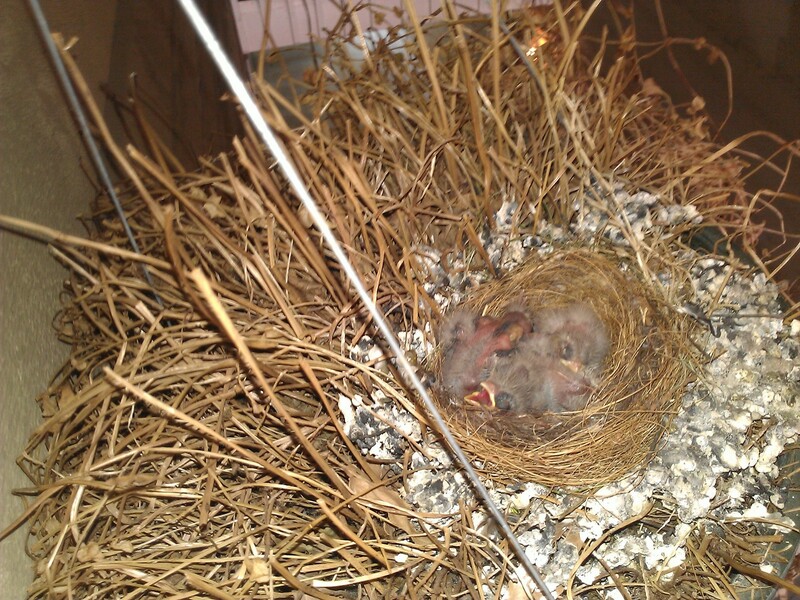 I prayed Mr. and Mrs. Finch didn’t abandon them if they detected human scent on their nest. Mr. and Mrs. Finch were gone, and their babies asleep, so I hung the babies on the light fixture by my front door temporarily. I prayed an additional prayer: Please God, don’t let these babies wake up and start their cheep, cheep, cheeping lest Mr. and Mrs. Finch discover they’ve been relocated and freak out on me. No lie. I started to feel like a surrogate mother to those babies, as though I and Mrs. Finch were parenting in tandem. Yes, I know, crazy. Here’s everything dragged inside… Again. On another note, the apartment complex wasn’t the only thing around here to receive a facelift! Just one day prior, I’m thrilled to say, I took my car to the fine folks at Birmingham Auto Painting and got her a new paint job. So, while I waited for the pressure washer guy to come, I decided to go admire the object of my vehicular affection, Christine. I named her after the Stephen King novel because she has a mind of her own. Most days, she purrs like a kitten. Some days, she has P.M.S. But, I forgive her because I love her unconditionally. Birmingham Auto Painting was awesome! If you live in the Birmingham area and are considering making your old car look brand spankin’ new again, and for not a lot of money, then go to Birmingham Auto Painting. Jackie Shores, the owner, is knowledgeable beyond belief and his staff works fast! She was Jaguar racing green when I took her in, but the clearcoat was peeling and there were a couple of minor rust spots. I dropped Christine off at 8:30 in the morning, called to check on her at 3:30 in the afternoon, and about fell out of my chair when Jackie said I could pick her up at 4:30! How do a handful of guys paint a car in a day?! I saw the pressure washer guy approaching so I ran back upstairs to my apartment. I’d hoped to watch Saturday Night Live that night. Oh well, so much for that. It was time to schlep everything back out to the balcony, which was no small feat. I put the baby birds back in their normal place of residency just in the nick of time as they were awaking and coming to life. I plopped into the chair on the balcony and took a breather. Chet, happy to see the birds back, started circling. 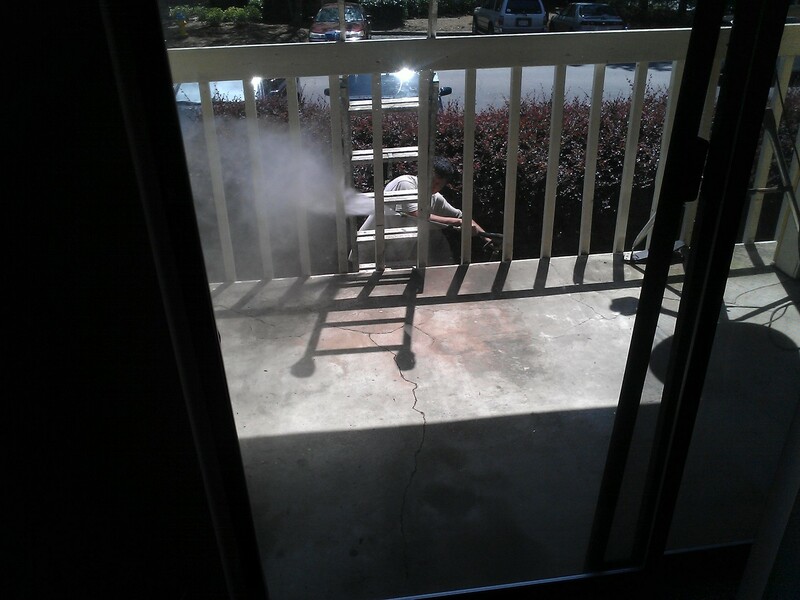 When I arrived home from work, someone had caulked the balcony. 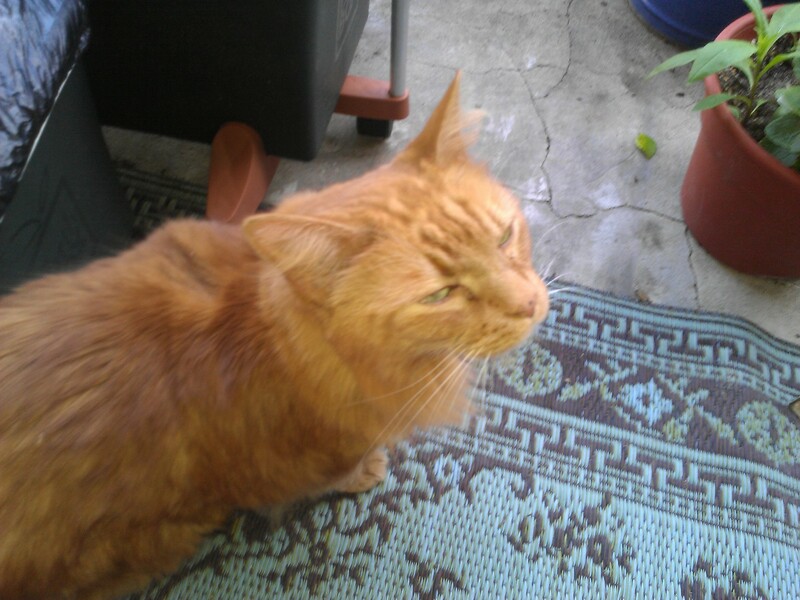 Thankfully, he had not disturbed the baby finches. So, after much inconvenience, continued service calls to the Dish people, and a few more days of dragging everything off and on my balcony each day, the painters still had not gotten to me. I was thankful when it rained for a couple of days because I knew they wouldn’t be able to paint — and I could leave everything on my balcony. As is sometimes human nature, I got lazy and kept hoping for rain. Days passed and they still had not painted my balcony! 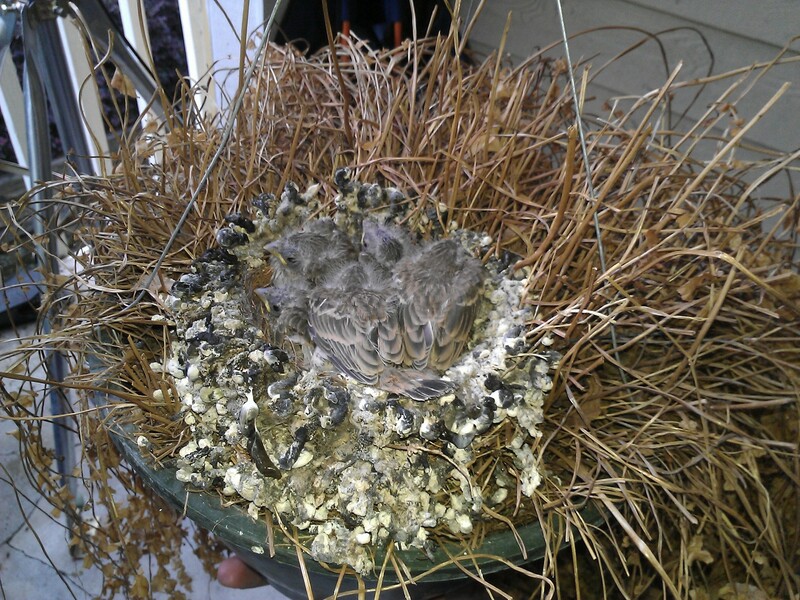 …And My Babies Started To Grow Feathers! You can wear a sweater to work in the morning, need a tank top by lunch time, an umbrella for the ride home, and it will be snowing by nightfall. In other words, it’s pretty extreme. So that afternoon, I was sitting at my computer at work when it hit me. The sun is out! My babies!! I flew home. Murphy’s Law: I was too late. 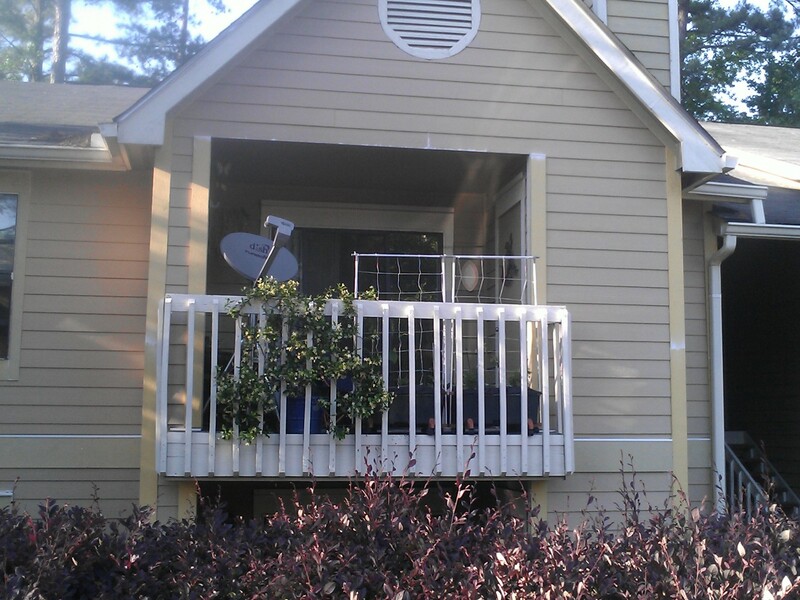 My balcony had been painted and the painter was already onto the next one. I had just missed him. I went up to my apartment to inspect. I was pleasantly surprised. They managed to paint around everything pretty well. I immediately looked in the birds nest. Much to my horror, it was empty. My babies were gone. My heart sank. After all that, I had failed them. I had failed Mr. and Mrs. Finch. Sadly, I dropped my head, looked down, and immediately gasped. 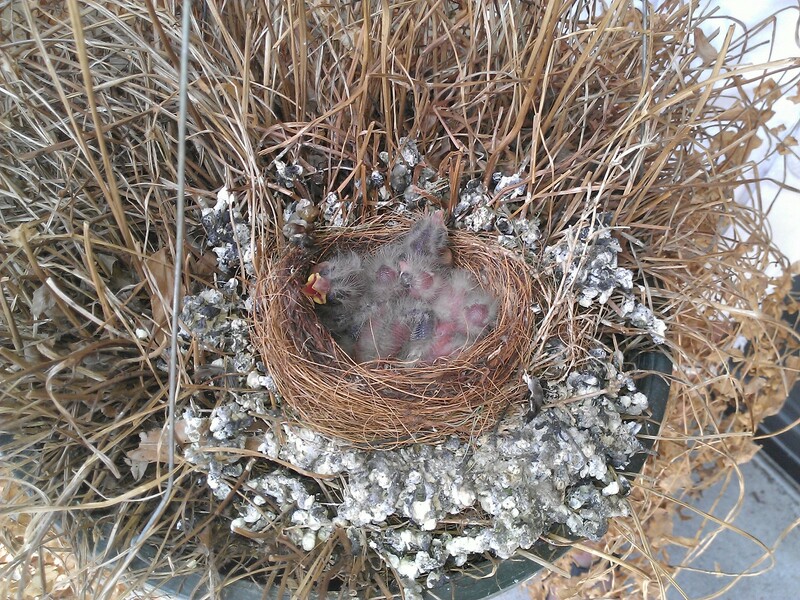 There, next to one of the casters on one of the EarthBoxes, was a baby bird. It appeared to be panting because its sides were puffing in and out as if in distress. Without another thought, I cupped it in my left hand. It became instantaneously calm. It was rather surreal. It was as though it thought, ‘Phew, I’m safe now. Put me back in the nest.’ So, I put it back in the nest, said a prayer for the M.I.A. baby birds, and went back to the office. When I returned from work a few hours later, I was thrilled to see Mrs. Finch sitting atop the satellite dish, chirping like mad. When she saw me, she flew to a tree that stands just off to the side of my balcony. I peaked my head around the corner and heard a cacophony of cheeps. I could only assume baby bird’s siblings were in that tree and doing fine. I took the nest down and saw the baby bird, not in the nest, but on the edge of the fern as if it was trying to pluck up the courage to attempt another take-off. My spirits were lifted and my hope restored for the Finch babies! Chet had been in the house all day and needed to go out. 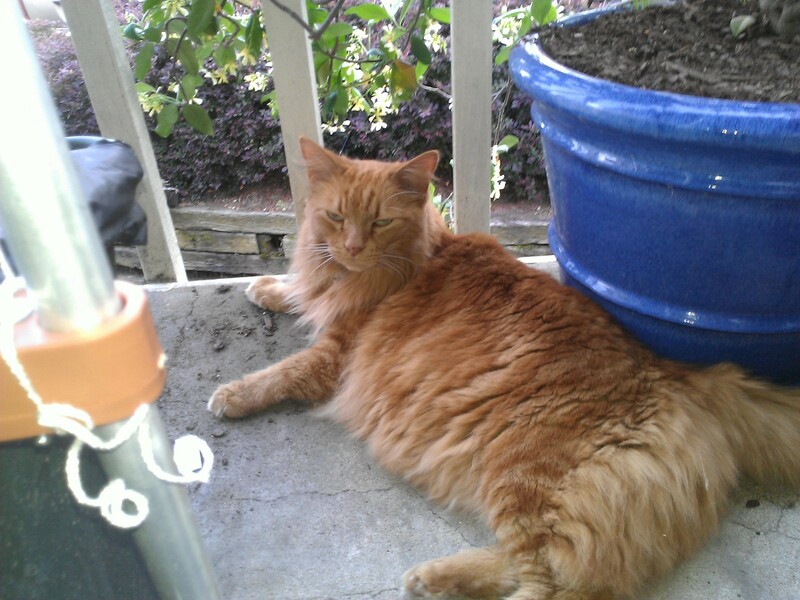 I figured since the bird was in the nest and Chet not on the balcony, all should be well. A couple of hours later, I went back out and checked on baby Finch. He remained in the same spot. All alone. My uneasiness returned. He has got to be getting hungry by now. 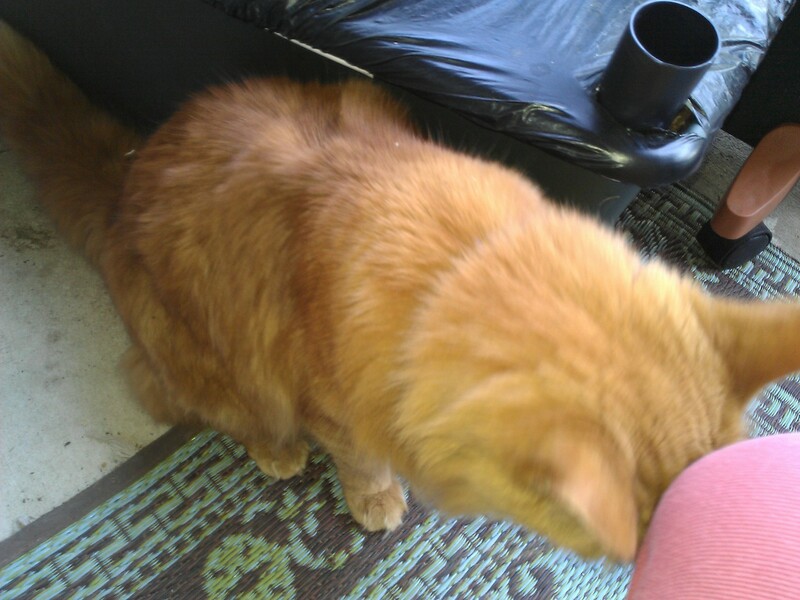 A bit later I went outside and checked on Chet. He was sitting under the tree next to my balcony, staring up, waiting for gifts from Heaven. Dang cat. I decided that if nature was going to take its course, it would have to take it because I had to make dinner before I faced an uprising. Everyone around here is acting hungry! 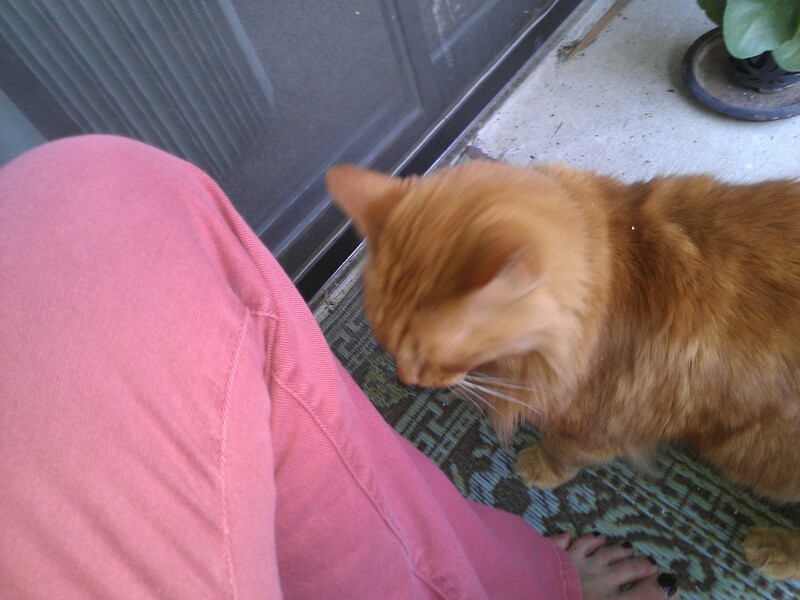 Chet ran up the steps and laid a baby bird proudly at my feet. 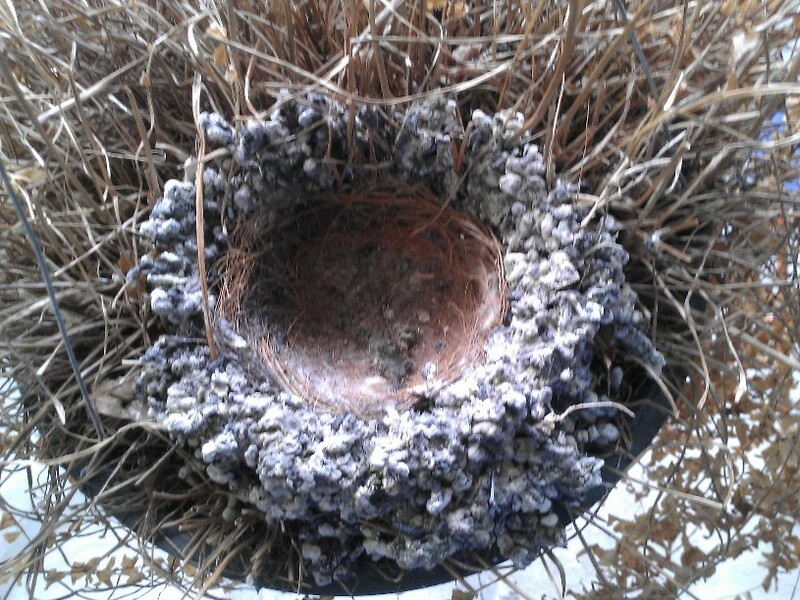 I started bawling like a baby and went and checked the nest. As I’d figured, the baby bird was gone. After all we had been through together, I felt shattered, and all over a baby bird. I had to tell myself to look at the bright side. The other babies grew and flew away with Mr. and Mrs. Finch. They were healthy and alive with a little help from me. And, I couldn’t be angry with Chet. He’s a cat after all and a very good hunter. He’s always bringing me “treats” of some nature and I couldn’t expect him to be any other way. I love my Chet. Yes, I had to look at the big picture. Things in life come and go like the ebb and flow of the ocean. Like the pressure washer man and the satellite signal. 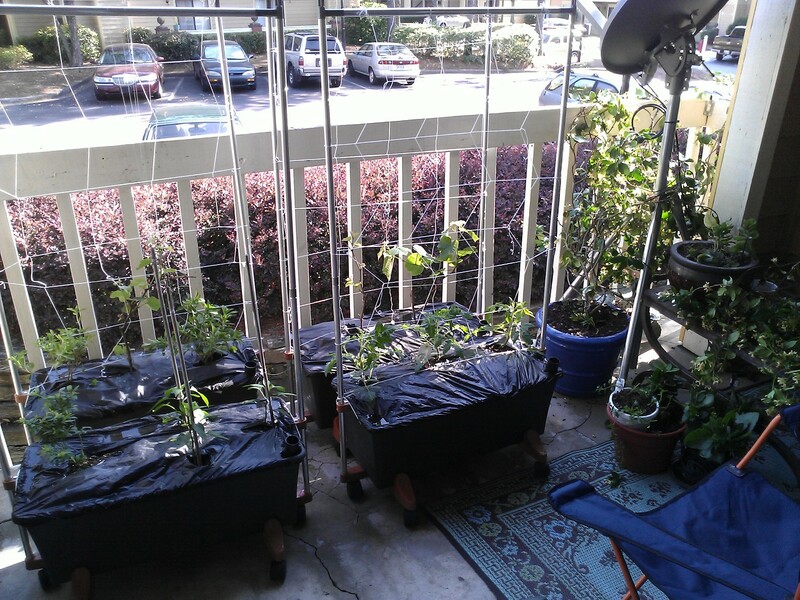 Like the plants that are thriving, and the stevia plant that bit the dust. Some things are restored — like Christine. And, some things are taken away — like sweet little baby bird Finch. May it rest in peace.